The reports of beheadings and other atrocities on the part of ISIS bring out the Dirty Harry in all of us. The outrageousness of the crime is directly proportional to the level of revenge— that was the formula for the immensely popular Clint Eastwood movies. 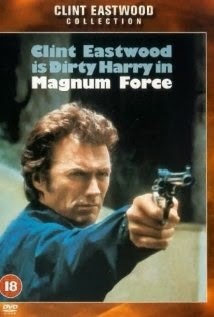 Remember Harry Callahan’s famous lines, “But being this is a .44 Magnum, the most powerful handgun in the world, and would blow your head clean off, you’ve got to ask yourself one question: “Do I feel lucky?’ Well, do ya punk?” You may find yourself intoning them when you see one of those videos that you’ve had to go to the Fox News site to see (since CNN refuses to show them). Increased feelings of helplessness fueled by the Charlie Hebdo affair and the shootings in Denmark fuel further fantasies. How about releasing the most violent and unrepentant prisoners in maximum security prisons (providing they aren’t Jihadists) and setting them down on the border between Syria and Turkey with full license to wreak havoc. Or better yet, if we need boots on the ground, which is what we are constantly told is the only real way to defeat ISIS, how about a million man strong robot army, which is impervious to suicide bombers? Every robot would have it’s minder, safe and secure behind a control consul at say Strategic Air Command in Nebraska. Let the enemy fire all they want, these bullet and bomb proof robots won't be stopped. Only what happens when it turns out the robots have minds of their own and their artificial intelligences turned out to be real?